Our annual printable Valentines are here! Download, cut out, glue to a blank card and give! Don’t forget the glitter! Hehehe! I am so excited for the Chinese New Year this year! 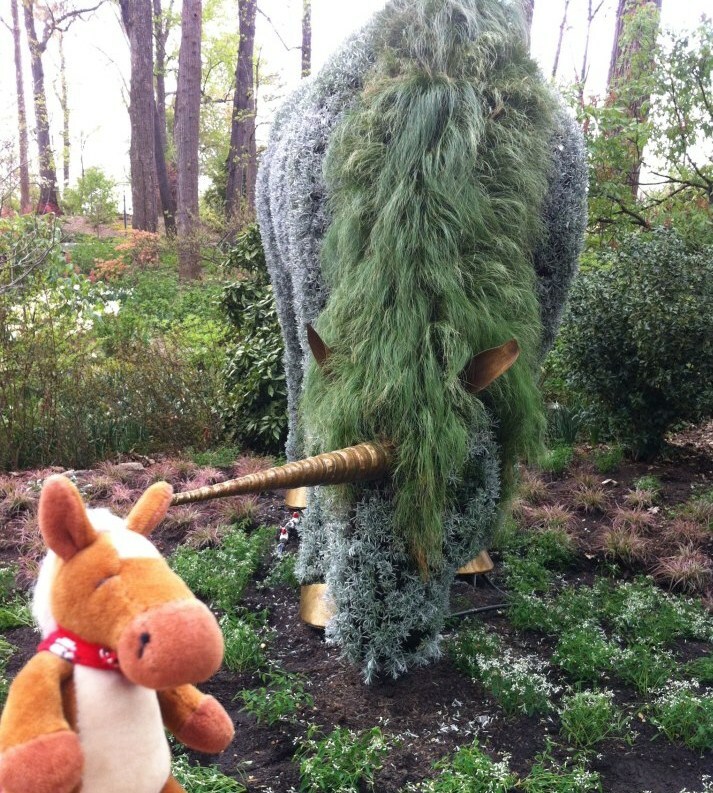 We celebrated dragons two years ago and last year was the year of the snake, but this year is the YEAR OF THE HORSE!! I’m going to be putting on my tap shoes and dancing all over to celebrate! 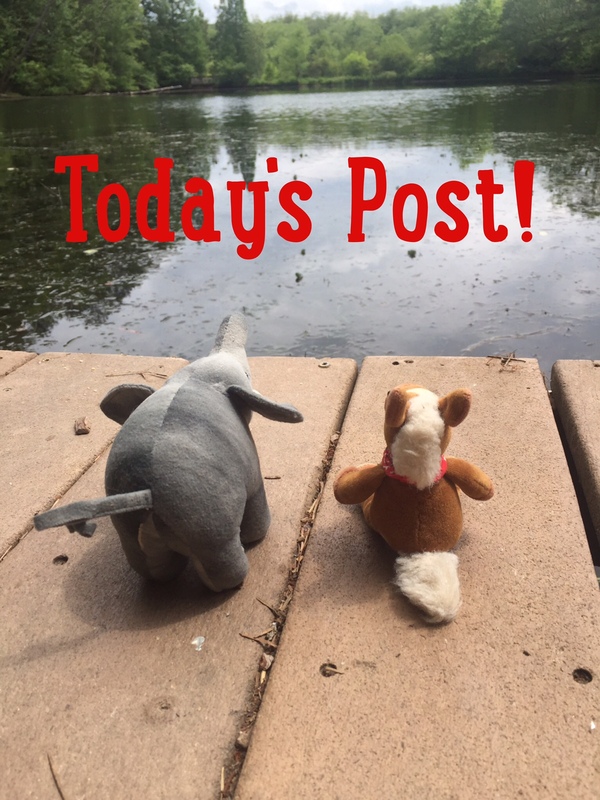 Ellie and I will be going to meet some of my wild relatives this week, but first up I want to tell you a bit about horses in general! 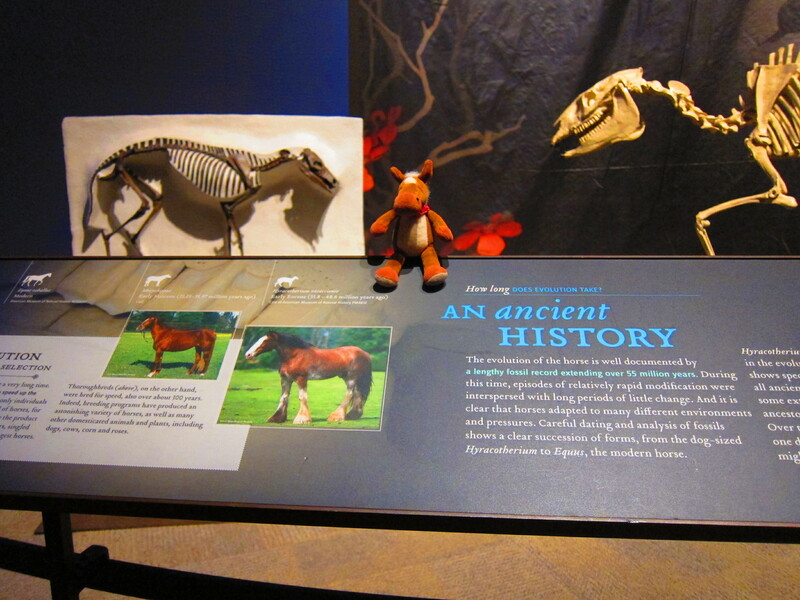 My earliest relatives were around 45-55 million years ago. We were domesticated around 4,000 years ago. We horses have a single toe on each foot. The outside of our hooves is like a human’s fingernail and must be trimmed. We horses walk on our tip toes and so does my best friend Ellie! 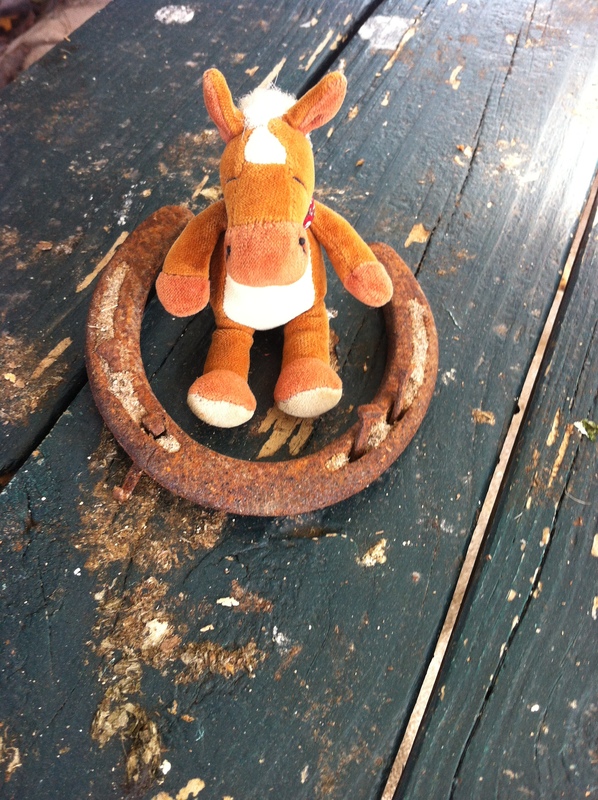 I am an ungulate- meaning I have hooves. Ellie is also an ungulate. There is one species of domestic horse and 4,000 breeds. Horses have the largest eye of any land mammal on earth. We have a 350 degree range of vision. The only wild species of horse is the Przewalski’s horse! We’re going to visit them later in the week. I can sleep standing up or sitting down. 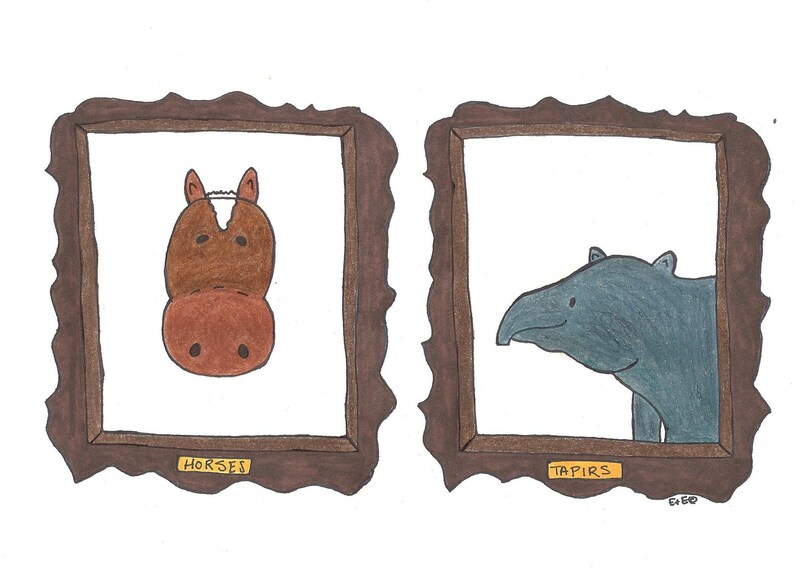 My relatives include the tapir and the rhino! Those rhinos are really unicorns! We horses have co-existed with humans for thousands of years. We have been friends, workers and therapy for people. Being a horse is a great honor and I am so excited to be celebrating this new year! Ellie and I are packing the travel trunk to go meet some of my relatives, including the zebra and the Przewalski’s wild horse. I have a special horse craft to share with you too. 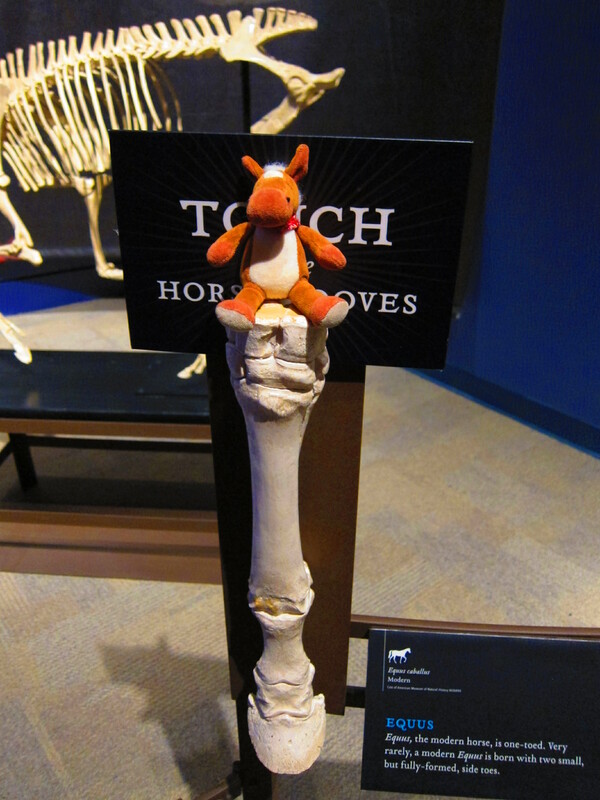 High hooves for everyone!! 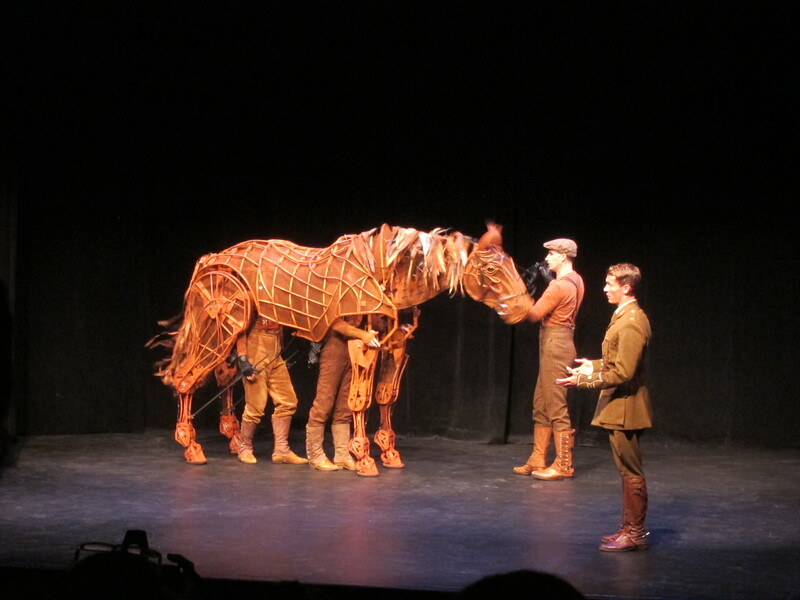 We had a chance to meet the star of the play “War Horse” and this star is very special! 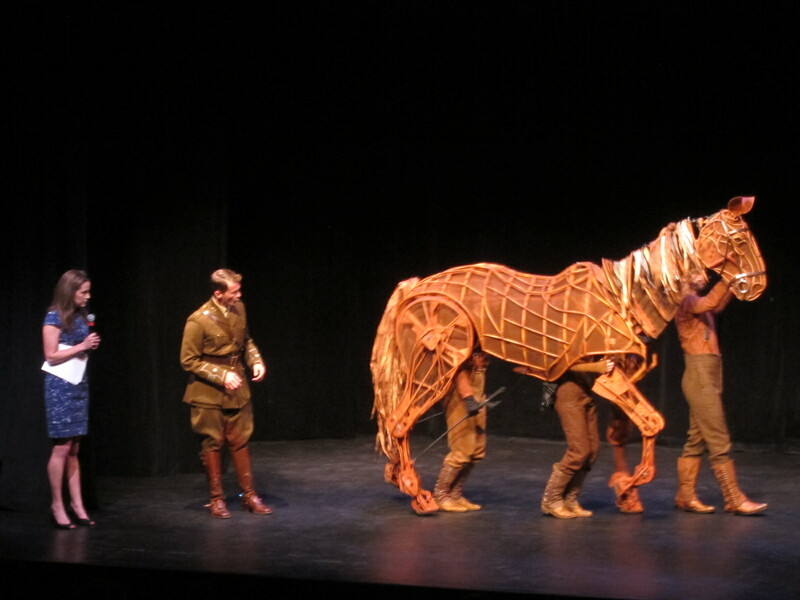 Joey is a horse sized horse puppet who stars in the play about his service during World War I and his young owner who goes on an adventure to bring him home. 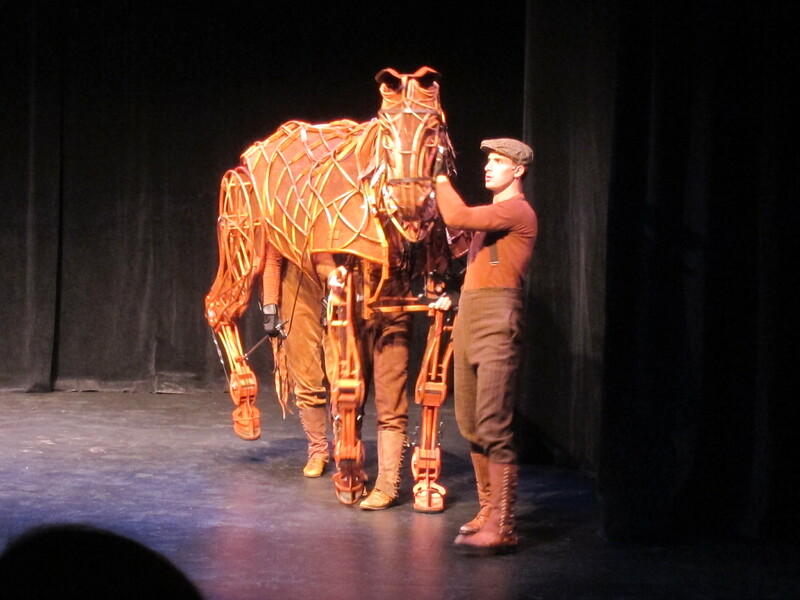 Broadway Atlanta had a special meet and great with Joey, his puppeteers and one of the actors from the play at the Center for Puppetry Arts (one of our favorites). 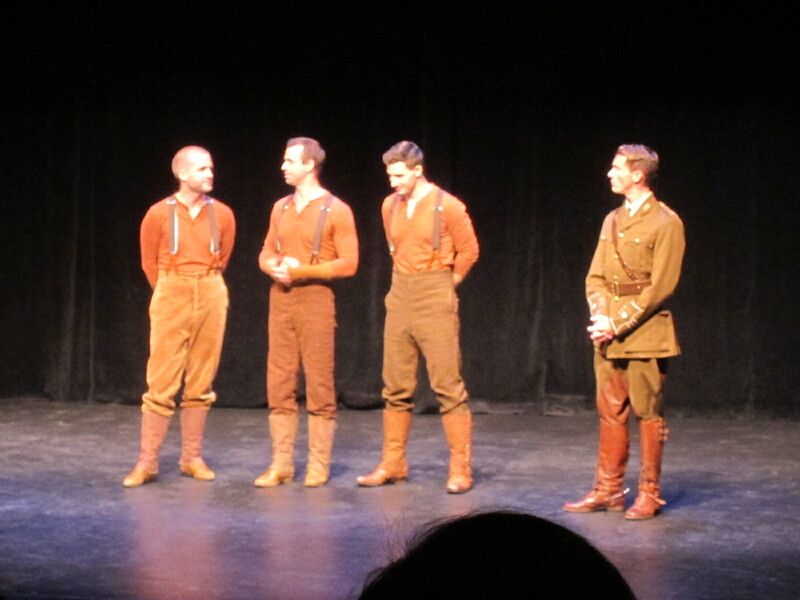 From the minute Joey walked on stage, we forgot that he was puppet. His ears moved like a horse, his tail moved like a horse and he even breathed like a horse! Edmond was very impressed. As the actor who plays Caption Nichols talked about Joey, the horse responded to him, even getting upset when he walked up to him face to face. 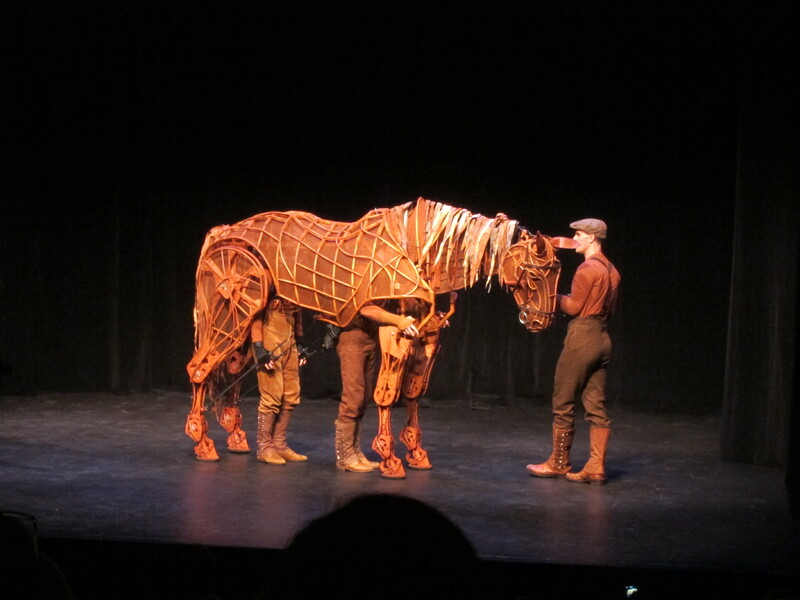 Joey was made in South Africa and has 3 puppeteers who operate him, two inside the puppet and one at the head. 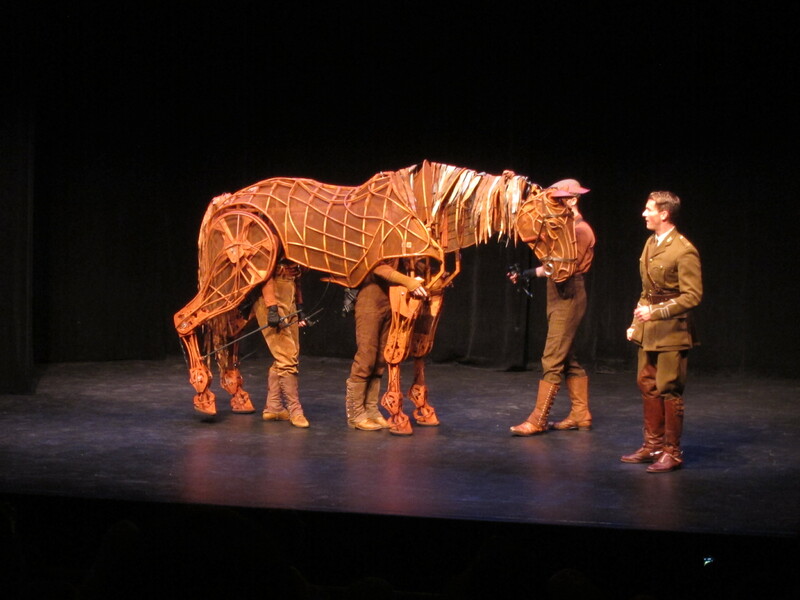 The puppet itself weighs around 100 lbs. 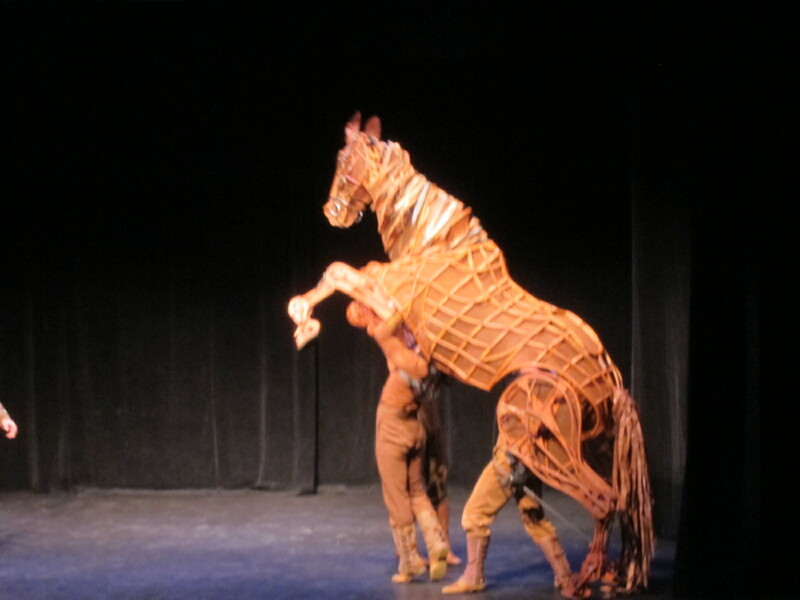 The puppeteers must move together and act as one horse! These guys make an excellent horse! After we were mesmerized by Joey, the 3 puppeteers came out on stage to tell us more about their special job making Joey come alive! 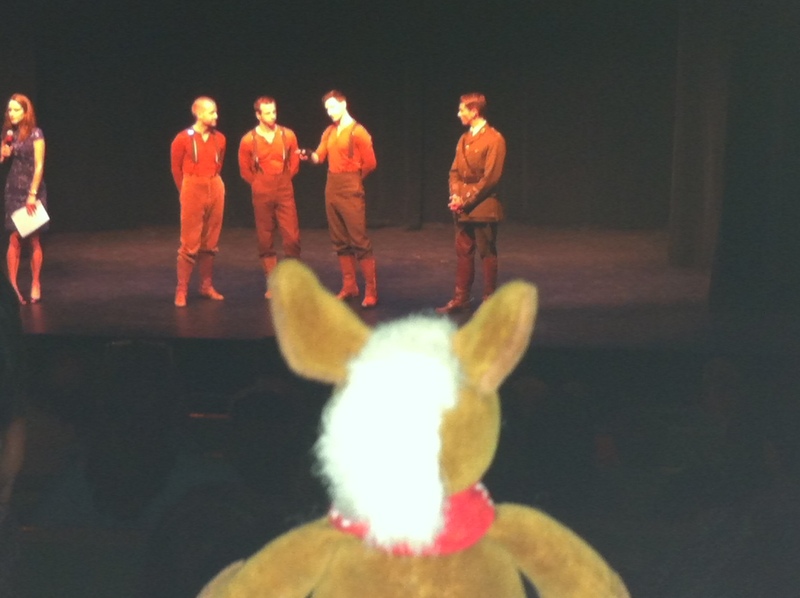 Edmond loved hearing the puppeteers talk about being a horse! 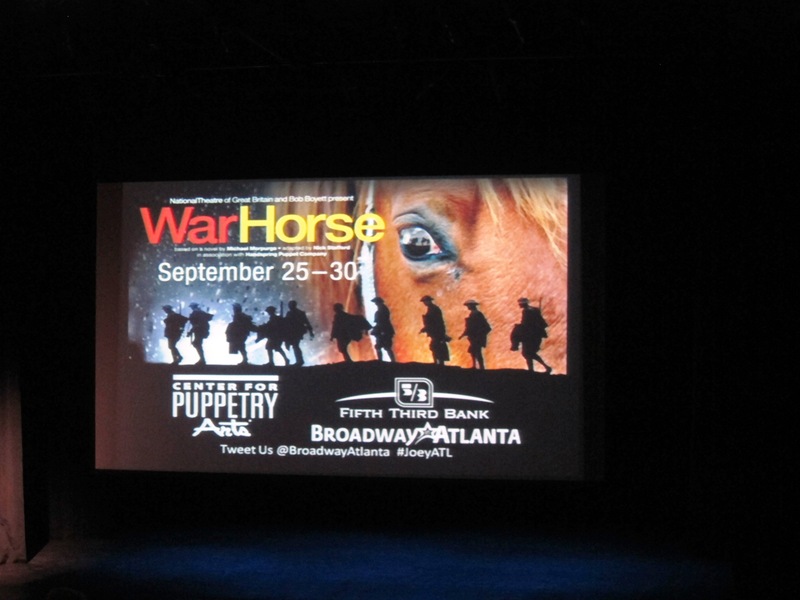 “War Horse” is coming to Atlanta at the Fox Theater, Sept. 25th– Sept 30th. You can check out the Fox Theater’s website for tickets. We are definitely going to see it, but will have to bring tissues for Edmond :)! This show is recommended for ages 10 and up. Thank goodness we are just old enough. And for those of you, who are too, go check it out! It is sure to be an amazing adventure!